I have one. Actually I have 5 kids, but only 1 is… the one. The bedtime staller. The one with all the excuses. There is always some reason why she can’t go to bed yet. Disclosure: As a Netflix #StreamTeam ambassador I get special perks in exchange for bringing you regular posts. All posts are written by me and contain my own stories. My one is eight years old but that doesn’t stop her from giving every excuse in the book as to why she isn’t in bed yet. Worse yet, most of the time she says she IS going to bed, yet somehow she still hasn’t arrived there. and on and on and on and on and on…. etc. She never quite gets to bed ON time. 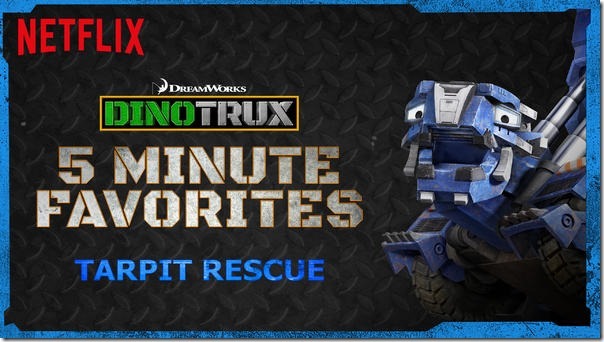 Netflix understands this and so they have introduced DinoTrux Shorts which are only 5 minutes long so you can tell your child, “Okay you can watch ONE DinoTrux episode and then you have to go to bed.” and while your child thinks they are getting away with a long show, it’s really just 5 minutes and then bed. So when they say, “Just #5MoreMinutes please!” you know what to do. 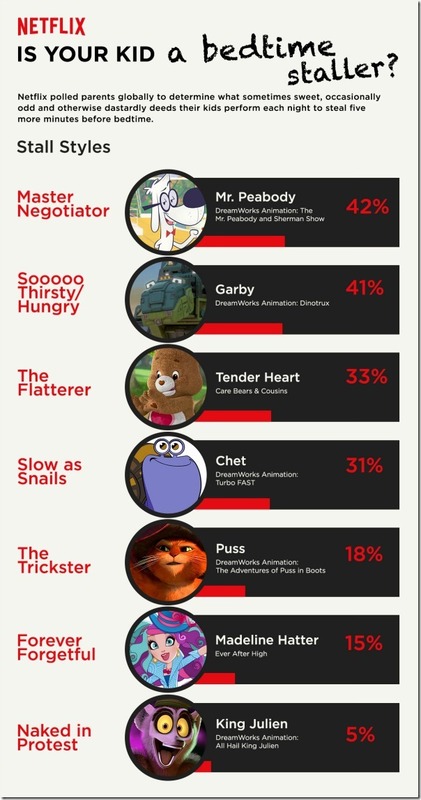 Netflix also created this graphic which shows what TV show correlates to your child’s excuses. My child should clearly watch Turbo Fast. Honestly though, I guess I shouldn’t complain. Although THAT child drives me batty, I am lucky to have other kids who go to bed when they are supposed to right? What crazy reasons do your kids give you?